Including players from SKT, Gen.G, and more. 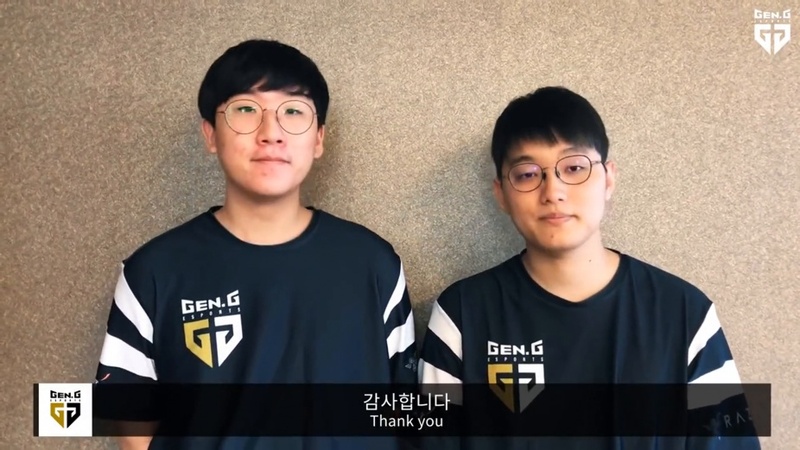 Gen.G, the esports association formerly known as KSV Esports and responsible for top teams like the Overwatch League's Seoul Dynasty, has revealed that they will be representing Korea in the Asian Games, which if you need reminding is including esports for the first time in its history. The organisation are sending their coach Choi 'Edgar' Woo-beom as well as players Park 'Ruler' Jae-hyuk and Jo 'CoreJJ' Yong-in to compete in League of Legends alongside legendary SK Telecom T1 player Lee 'Faker' Sang-hyeok, KT Rolster's Go' Score' Dong-bin, Kingzone DragonX's Han 'Peanut' Wang-ho, and Afreeca Freecs' Kim 'Kiin' Gi-in. Gen.G has even released a video below talking about representing their country at the Games. Will you be watching the Asian Games?